Today I'm looking back at an old make that has come back into my wardrobe rotation, for one simple reason: baby bump! Wow I look skinny...I miss my waist. But I'll keep my mommy arms. 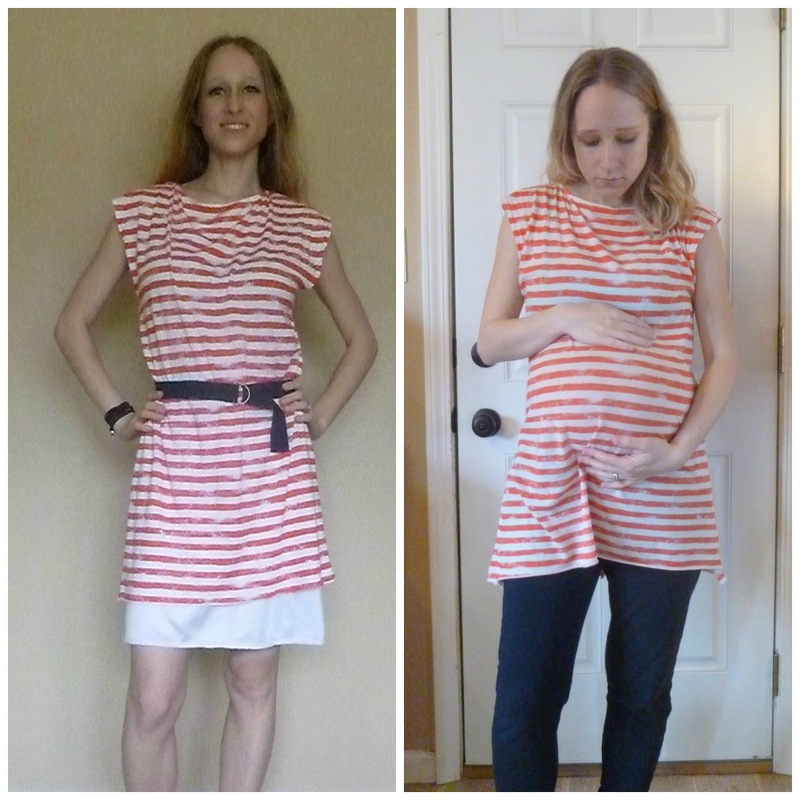 Take a look back at my previous post about Butterick 5211, a simple knit boatneck dress. I'm not crazy about orange, so it fell out of the mix when I made it two years ago. But it is the ultimate in preggo comfort and I can't stop wearing it! If there are any expectant mommies out there, add this pattern to your list. This is why I never throw out me-mades...has this ever happened to you? Do you abandon a garment only to come back to it years later? Definitely! And doesn't it feel like Christmas when you discover an old piece that works fantastically right now? SCORE! This looks great on you, I think I might prefer it as a maternity tunic. Yes! Of course, that happens with all my clothes, not just me-mades...I have too many items and not enough closet space!